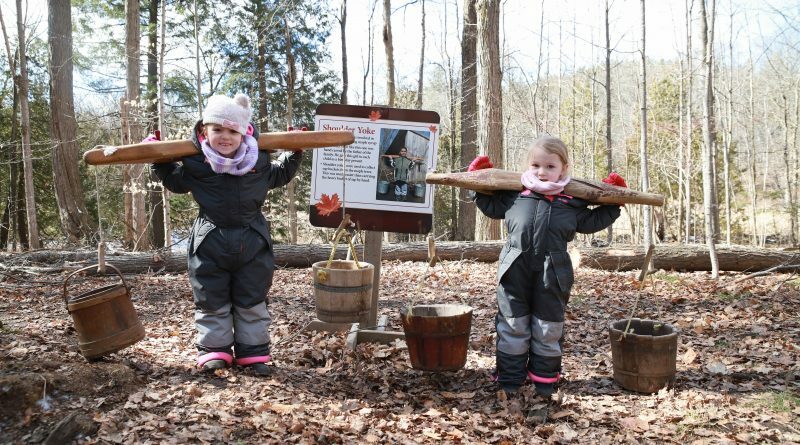 Whether you’re a first time visitor or seasoned attendant, head over to Bruce’s Mill to experience sugar bush demonstrations, wagon rides, guided trail walks, family activities and enjoy pancakes and sausages with real maple syrup. Discover the history, customs, and production methods including tapping your own hole with an old-fashioned hand drill. 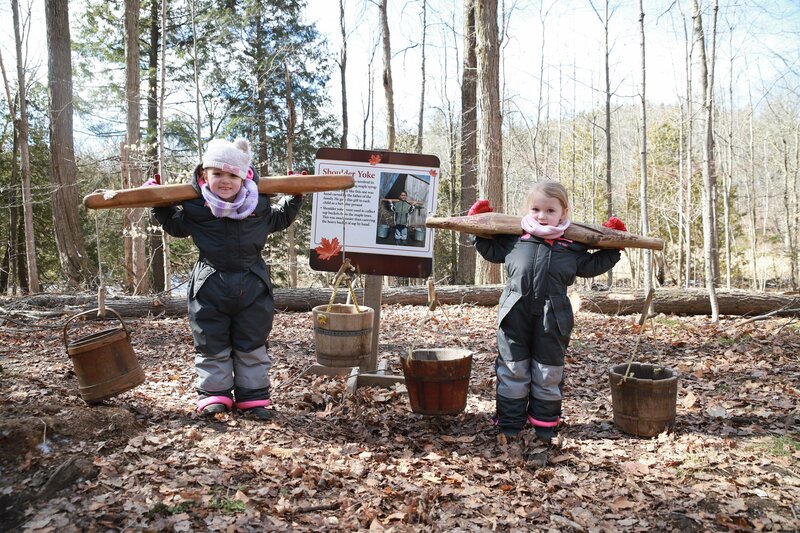 Delight in the smoky-sweet smells as you watch the old-fashioned way maple syrup was produced, using a system of three cauldrons to boil and concentrate the syrup. Cold sap is put in the first cauldron only, then gradually transferred to the second cauldron and then to the third. It takes approximately 24 hours to make a small quantity of maple syrup, which could then be taken to the home to take to the sugar stage and put in molds to harden. Purchase tickets online and receive unlimited general admission to all four Festival locations: Bruce’s Mill, Kortright Centre, Island Lake and Terra Cotta Conservation Areas. The festival runs from March 9 to April 7. Main photo: Sisters Marica and Marijana try the yokel out for size. The girls love coming to the maple syrup festival every year. Julie Williams photo.